Mechanical components can benefit from engineered investment castings. At Lamothermic, we are dedicated to meeting our customer’s requirements with our expertise and innovative capabilities. We welcome your challenges and look forward to working with you. We work concurrently with our customers to optimize the casting geometry as well as the metallurgical, heat treatment and machining requirements of your final product. Our engineering team will make suggestions that will ensure the reliability of manufacturing your product. We understand our customers’ needs to get projects to market expeditiously. With this in mind, we ensure your product will not live in the development stages and will be brought to life in a reasonable period. Lamothermic has well over 100 years of combined engineering knowledge in investment castings. With this knowledge, we strive to make your part cost competitive, without compromising quality. 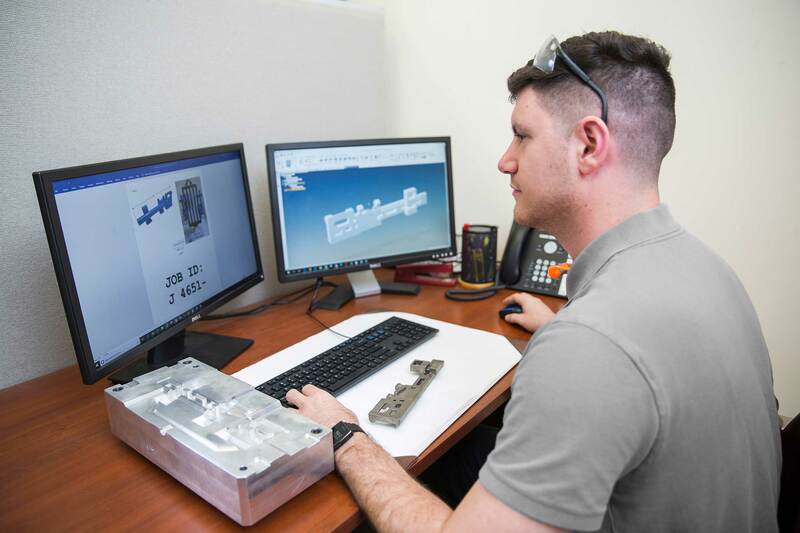 Our engineers are capable and dedicated to optimizing our processes, resulting in reliable and consistent parts that meet all your requirements. The investment casting process is one that is steady and reliable. Parts can be held to tighter tolerances than other methods of casting. When trying to determine what will need post casting machining use our tolerances of +/- .005 per inch as a guide line. Our engineering staff offers support all the way from our very own suppliers to different tiers in the supply chain. Our engineering team is always accessible and welcoming of your ideas and concerns. Despite the life of the project, we are here to help.